A decade before Lyra hides in the Retirement Room to spy on Lord Asriel, her birth coincides with dark forces sweeping through Brytain. Rain falls ceaselessly, a prophecy is made of a child who will destroy destiny, and the sinister Magisterium consolidates political power. Philip Pullman’s The Book Of Dust, a new trilogy follow-up to His Dark Materials, opens on Lyra as a 6-month-old baby, rewinding to tell an origin story of sorts. This time, it’s 11-year-old Malcolm Polstead who goes on an adventure. An easygoing son of tavern owners, his inquisitiveness—so necessary to any protagonist in a children’s book—leads him to find out more than he should about a secret agency and the baby they’ve brought to a nearby priory. When the river suddenly overflows and an epic flood spills through the Oxford countryside, he and his canoe are there to save Lyra from drowning—and from the other threats, political and personal, that have the baby in their crosshairs. Pullman calls The Book Of Dust trilogy neither a sequel or prequel but an “equal,” taking place alongside His Dark Materials. 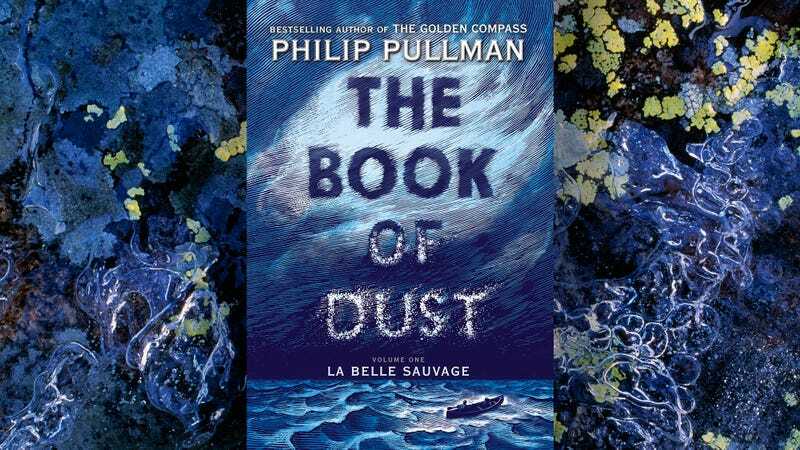 But La Belle Sauvage, this first in the Book Of Dust trilogy, functions very much like a prequel, whatever Pullman says. We don’t know how Lyra will get there, but we know she will grow up at Jordan College, leeching any uncertainty out of her end destination. Pullman emphasizes this forgone conclusion in La Belle Sauvage’s opening pages, when Malcolm off-handedly learns that Jordan Collage is the last institution to offer academic sanctuary, providing a possible place for Lyra to be safe. In this case it’s the journey, not the destination, that matters, and Pullman crafts a singularly thrilling adventure for his young hero to embark on. Malcolm and a compellingly complex adversary-turned-ally flee an evil man with a ghoulish dæmon while trying to understand the unknowable forces acting around (and sometimes upon) them. 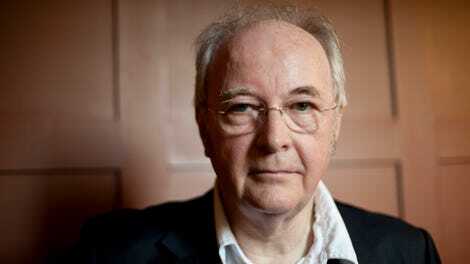 Theirs is a classic coming-of-age story set in the world Pullman brought lavishly to life in His Dark Materials. That world is succinctly described in the preface to His Dark Materials as “like ours, but different in many ways,” and it’s with great pleasure that La Belle Sauvage slips effortlessly back into Pullman’s richly imagined Brytain. Pullman is perhaps the best fantasy writer alive, and certainly a master of world-building, and his new tale is more broadly fantastical than The Golden Compass and its two follow-ups. Malcolm’s story is firmly on the periphery of the Magisterium’s machinations, religious authoritarian control, and big ideas of consciousness and destiny, and this smaller narrative allows Pullman to interweave ideas of multiple worlds and conscious particles without focusing on or explaining them. The result is a story smaller in scope than anything in His Dark Materials, and presents an even more mysterious version of our world. It’s like the great flood sends Malcolm and his dæmon, Asta, in and out of multiple overlapping worlds, creating a fertile, enigmatic landscape to explore. His Dark Materials fans will have plenty to chew over. Characters both major and minor from the first trilogy are present in this new one, and a single tantalizing line hints at what Lyra’s future story might be. (Pullman has stated that the next installment will take place 20 years after this one—in other words, 10 years after the events in His Dark Materials.) The real connective tissue between The Book Of Dust and His Dark Materials, though, is the tiny booklet that also connects them temporally. Lyra’s Oxford—which mixes a short story with detritus from her world and ours—is full of conjoining ideas that link this new series with the old. It’s an appropriate ligament in this set of stories that are themselves constantly folding over each other, like windows upon windows into separate but familiar worlds. Even without the deep well of context of those other books of Dust, La Belle Sauvage stands on its own as a singularly beguiling work of fantasy. It’s sure to be devoured by readers young and old alike. Purchasing La Belle Sauvage via Amazon helps support The A.V. Club. Caitlin is the managing editor of The A.V. Club.